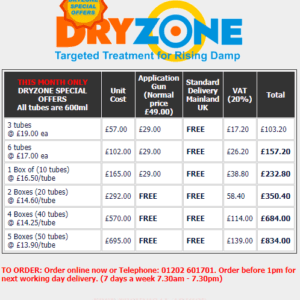 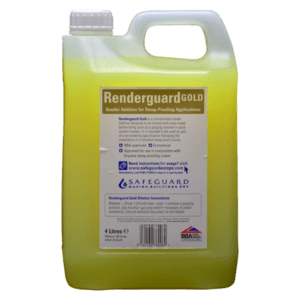 Dryzone is a revolutionary material for the control of Rising Damp. 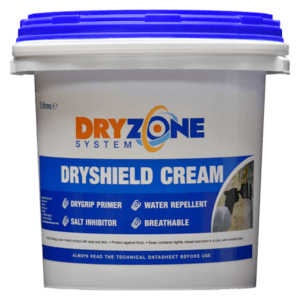 Dryzone is a water-repellent cream packed in 600ml foil cartridges to minimise environmental impact. 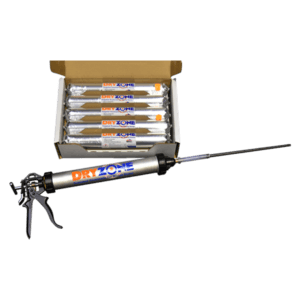 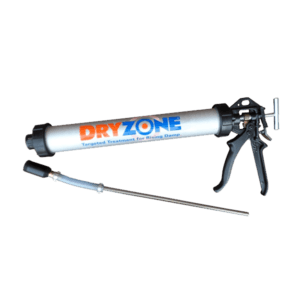 Dryzone cream is introduced by means of a simple applicator gun into a series of holes drilled into the mortar course. 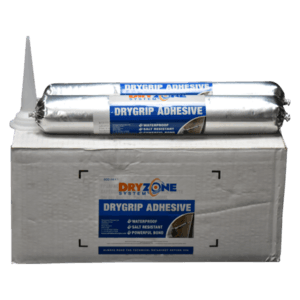 Once Dryzone is installed it uses the moisture contained in the damp wall to diffuse where it is most needed before curing to form a water-repellent resin. 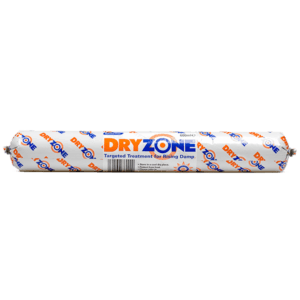 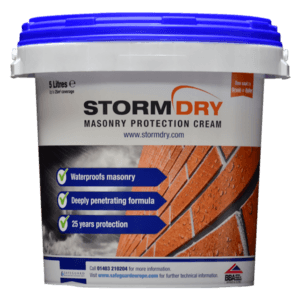 The Dryzone System is a range of products designed to eliminate rising damp and allow easy renovation of damaged interior walls. 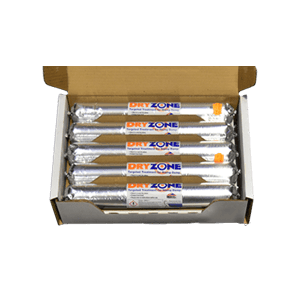 The Dryzone System offers a complete solution allowing the user to solve the problem of rising damp from start to finish. 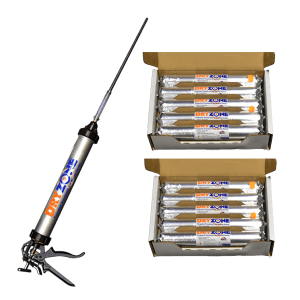 Our delivery is free.